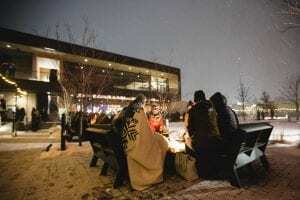 Find Surly - Surly Brewing Co. Find Surly - Surly Brewing Co.
Surly Brewing Company’s Destination Brewery in Minneapolis is a space where folks can meet and connect over a beer. There’s a bunch to do and see: our Beer Hall & Restaurant has a rotating tap list of more than 20 Surly beers and an extensive menu of great food that pairs well with beer. Visitors also have the chance to hop on a tour, enjoy a beer outdoors in our Beer Garden or stop by The Company Store, which has more than 200 awesome Surly merch items for sale. Availability isn't guaranteed. Please use your computer phone to call the retailer to confirm they have what you're seeking.